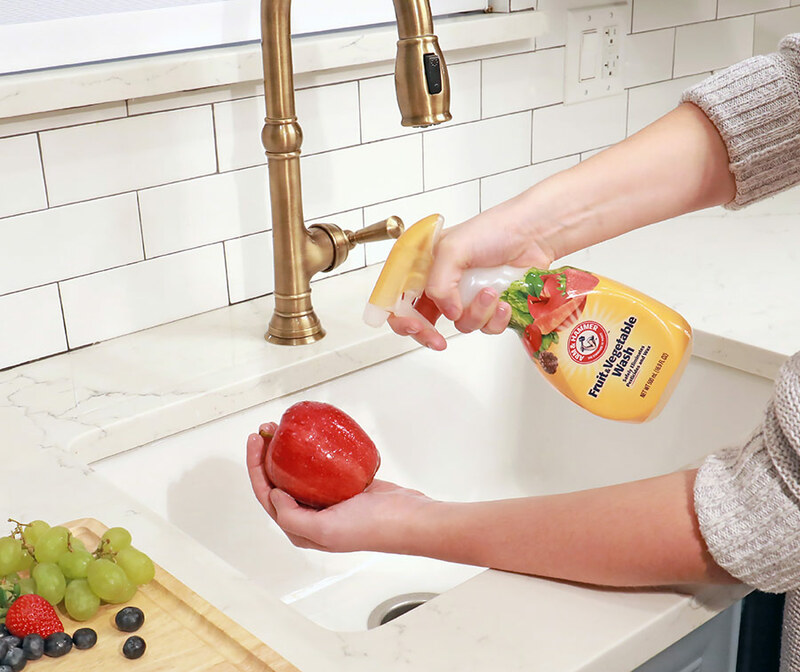 Why do I need Arm & Hammer Fruit and Vegetable Wash? Water alone is not enough to remove Pesticides, Wax and Soil. Our pure and simple formula with the cleaning power of baking soda eliminates pesticides 4x better than water alone* and doesn’t leave behind a taste or odor. Our product has been independently tested, and is proven to clean 4x better than water alone and to remove over 90% of pesticide residue*. You can even see the difference before and after you wash your produce! 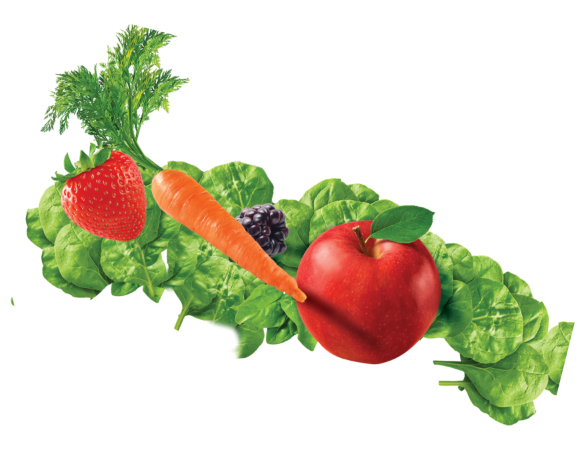 What’s in Arm & Hammer Fruit & Vegetable wash? * Commonly-used pesticide thiabendazole when used as directed.